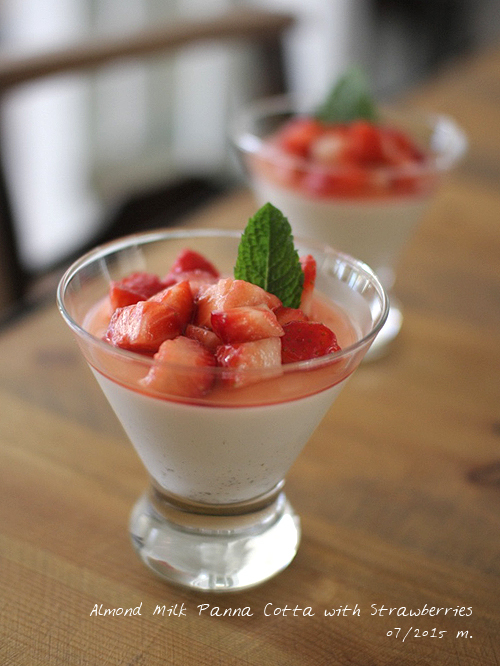 In a small bowl place 3 tbsp water and sprinkle with gelatine powder. 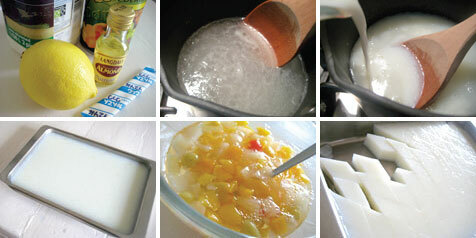 Leave gelatine for about 5 minutes to absorb the moisture. In a milk pan heat the milk and granulated sugar over a low heat. 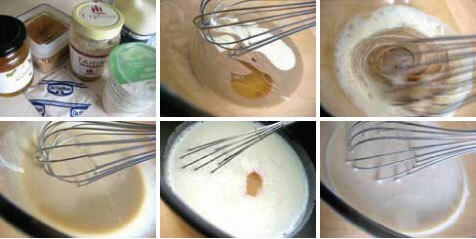 When warm up the milk about 70℃, remove from the heat and dissolve with the gelatine with a a whisk. Then add the vanilla, Grand Marnier and cream. Divide the pudding or jelly molds remove the bubble with a spoon. Cool in the fridge for about 2~3 hours until they set. Peel the orange with a lemon zester. 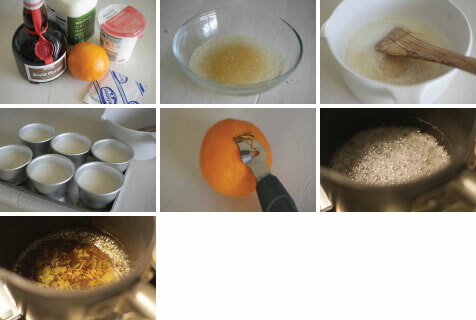 Squeeze the orange to make orange juice, if you cannot have enough juice from the orange add some water. 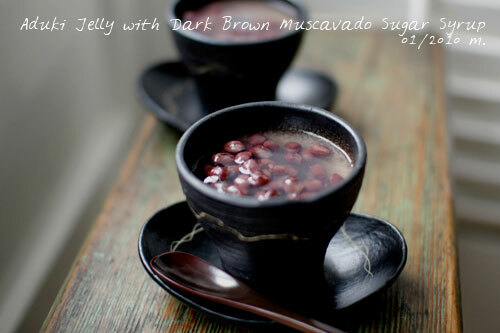 Heat the granulated sugar and water in a small pan over a medium heat. Shake the pan occasionally to dissolve the sugar. Cook for about 10 minutes until it becomes golden brown. Turn off the heat and quickly add the orange zest and juice. Leave it cool. 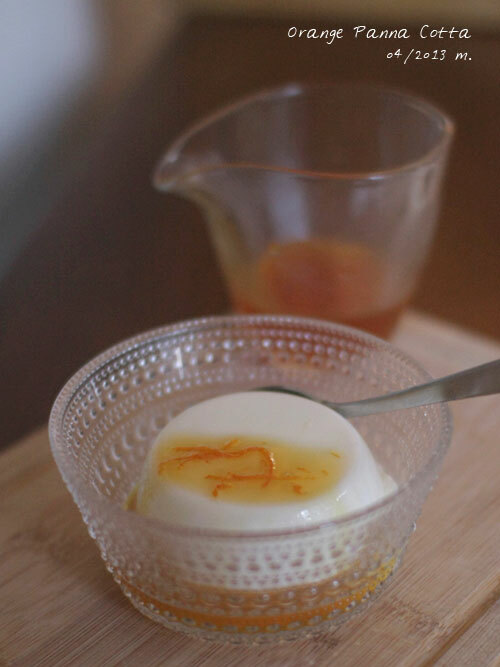 Take the panna cotta from the each mold and pour the sauce. Serve immediately.